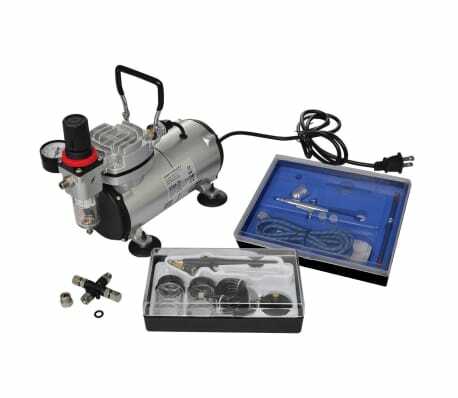 Air hose length: 5' 3"
This airbrush compressor set is designed to be used for all airbrush applications, such as cake decoration, model painting, body painting, car painting, photo retouching, T-shirt painting, nail art, fine arts or some other paintings. The spray gun allows you to control the amount of both air and color to your personal preference by pressing and pulling the lever. 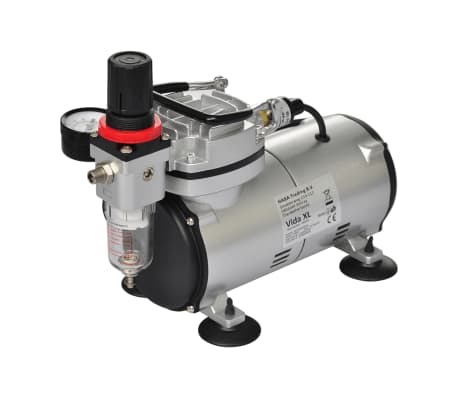 The high-quality material is resistant to solvents and paint chemicals. 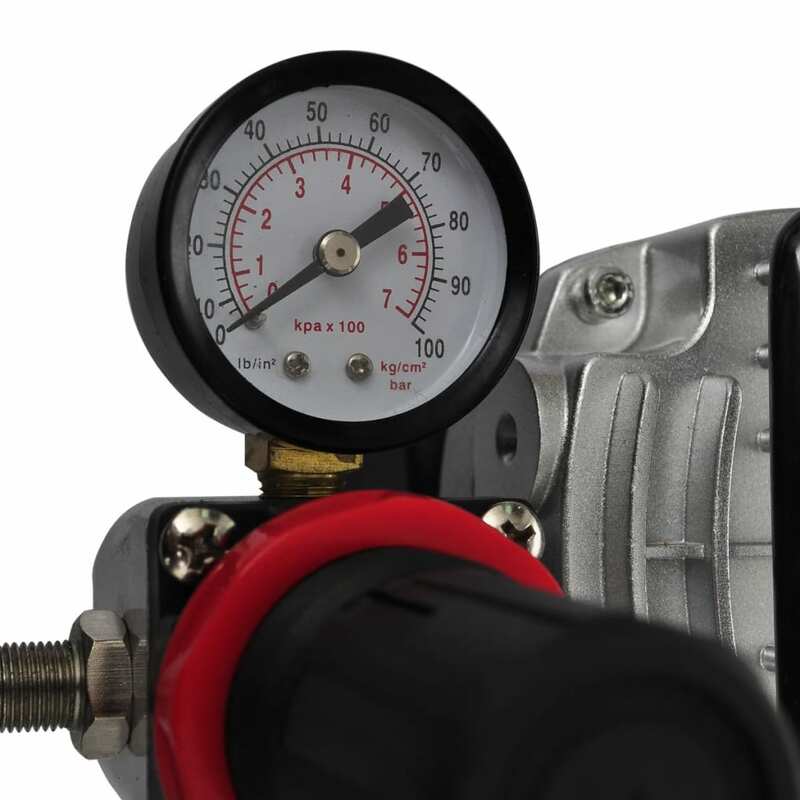 A 3-way hose connector can be directly connected to the compressor or between the compressor and guns, giving a possibility for up to 3 connections simultaneously. 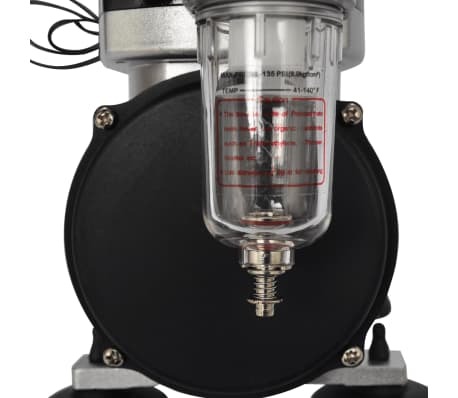 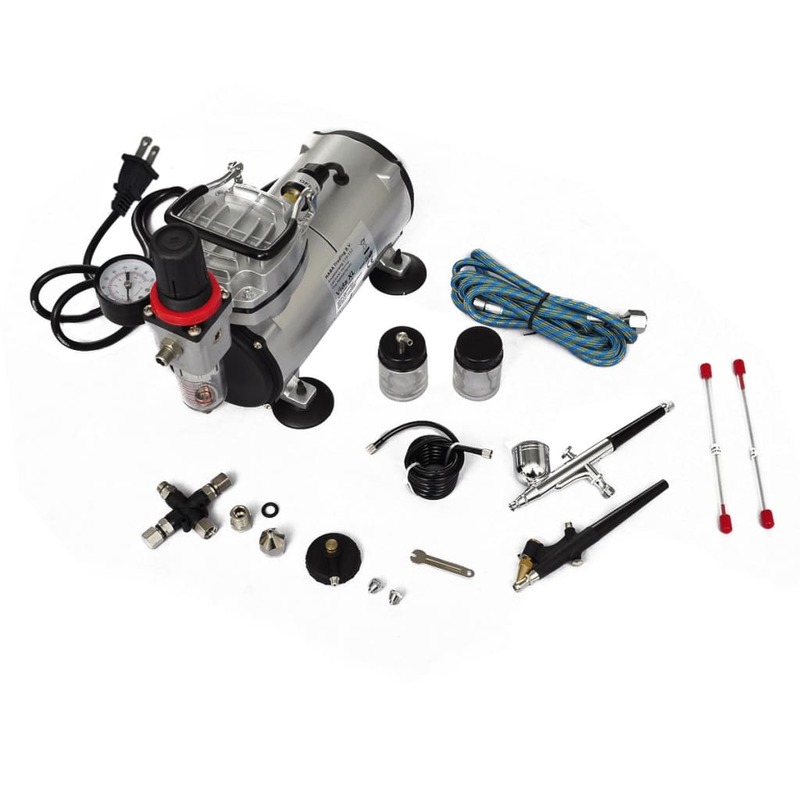 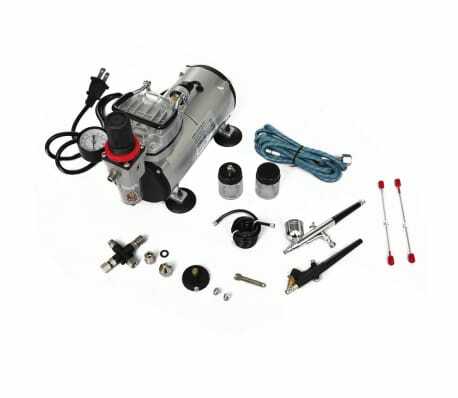 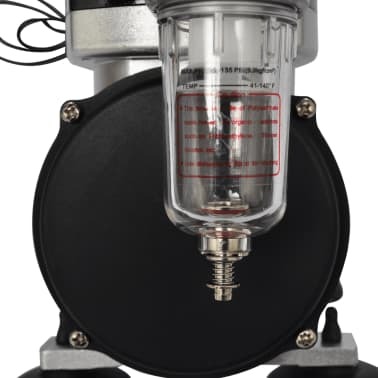 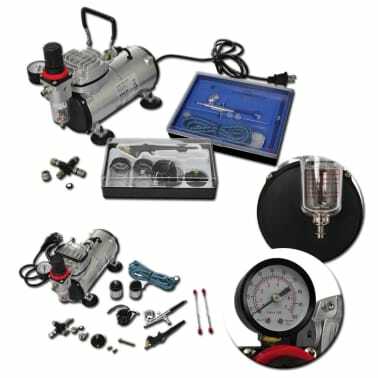 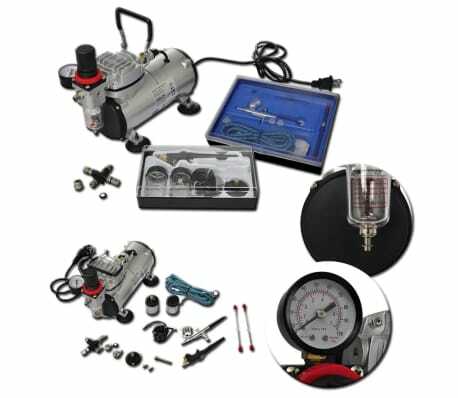 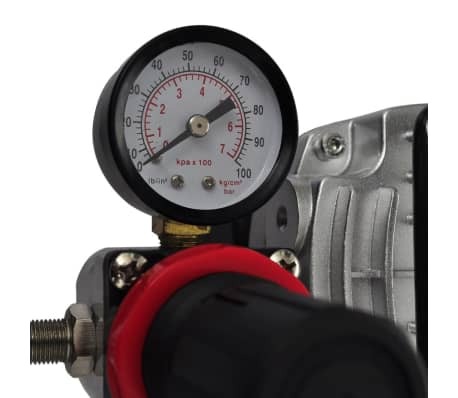 Delivery includes 1 x mini piston compressor, 1 x airbrush with single-function-7-piece set, 1 x airbrush with double-function-9-piece set, 1 x 3-way hose connector with 2 stoppers. 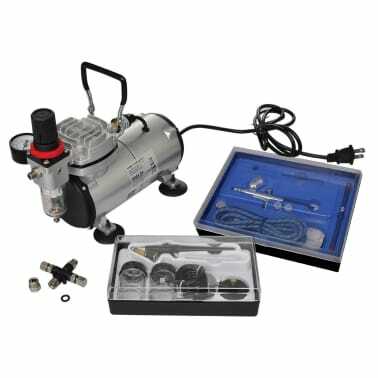 The airbrush set comes in a plastic case for easy transport and storage.